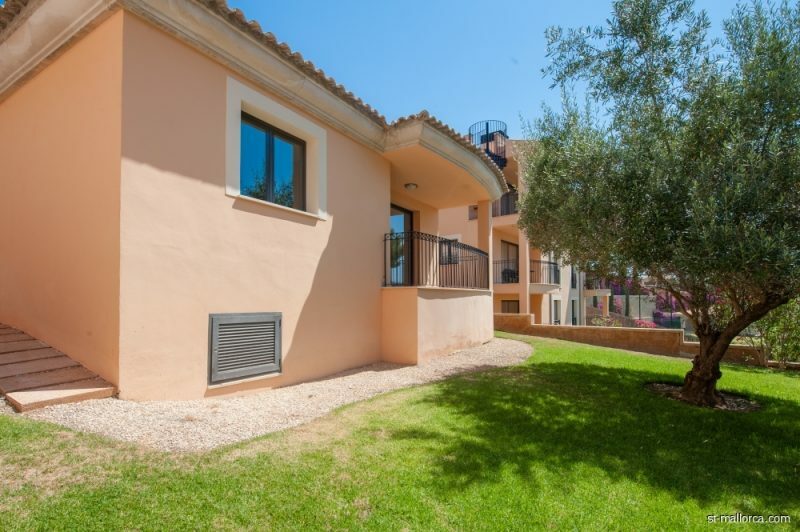 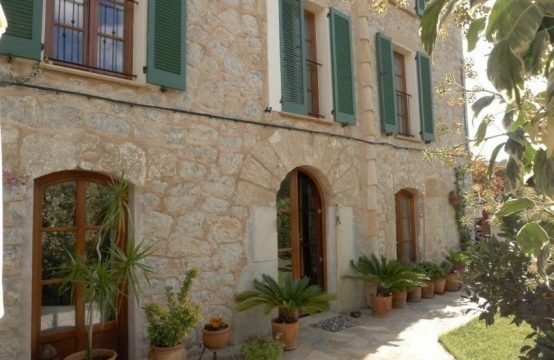 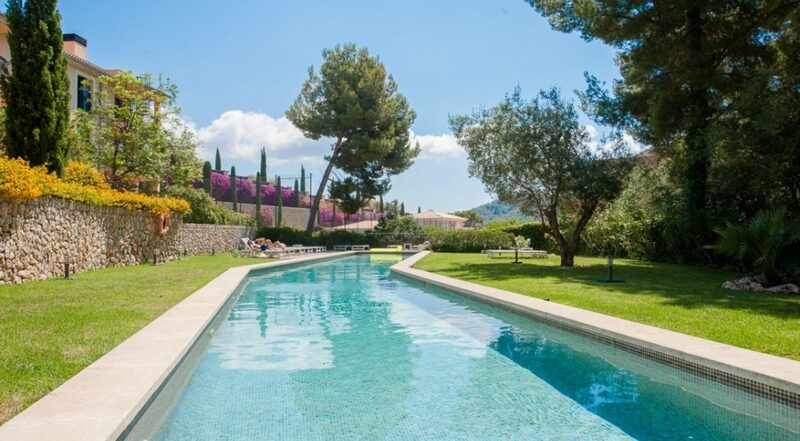 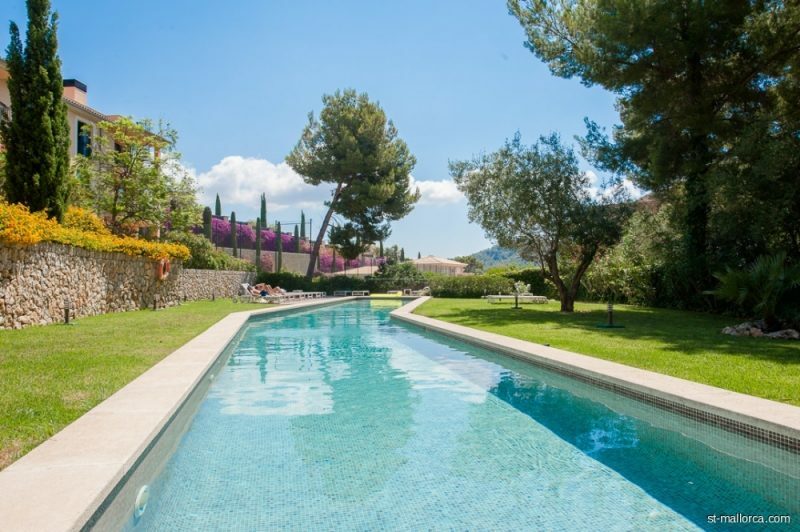 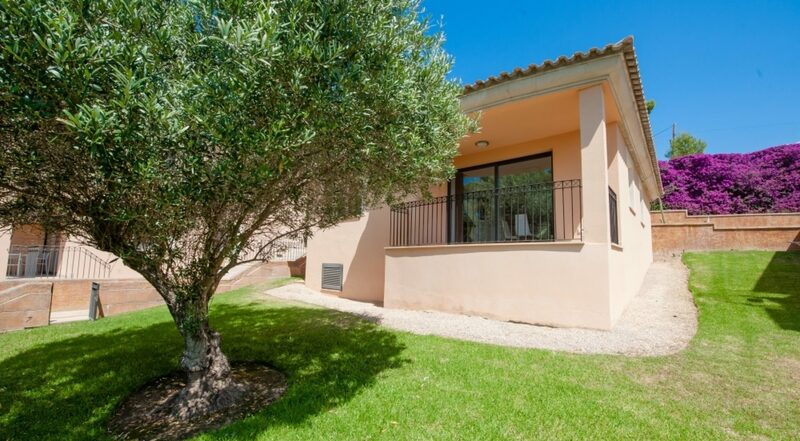 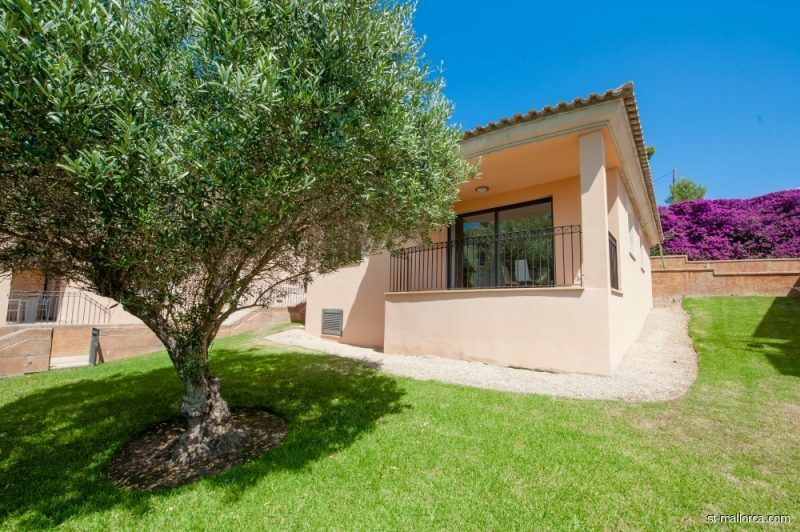 Detached house in a small well maintained complex with Mediterranean garden and large pool. 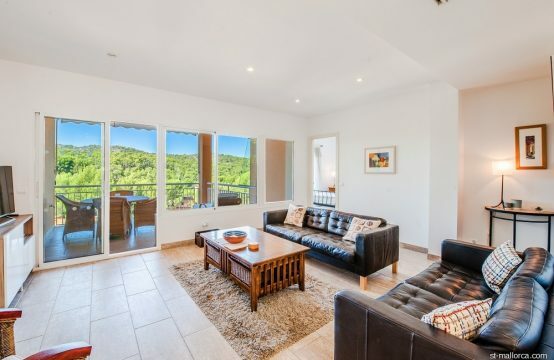 The house has a living area of 85.71 m2 with 2 spacious bedrooms, 2 bathrooms (one en-suite with natural stone shower and bath), a fully equipped kitchen with SIEMENS kitchen appliances, an open plan living / dining area with an open fireplace , A balcony with 7.75 m2 is located directly in front of the living room and offers a wonderful view over the private Mediterranean garden and the pool area. 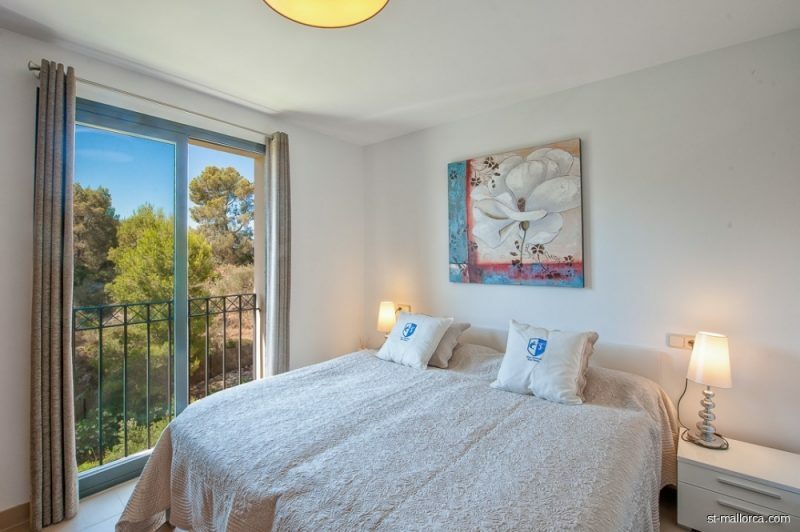 Camp de Mar is one of the most famous places in the southwest area of Majorca, situated between Paguera and Puerto de Andratx. 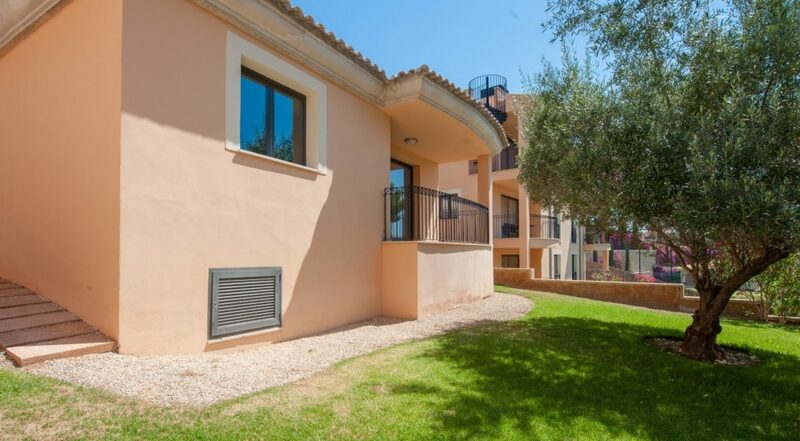 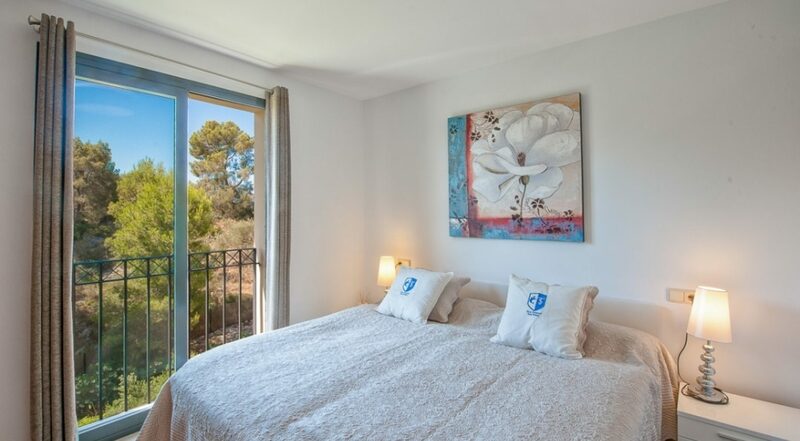 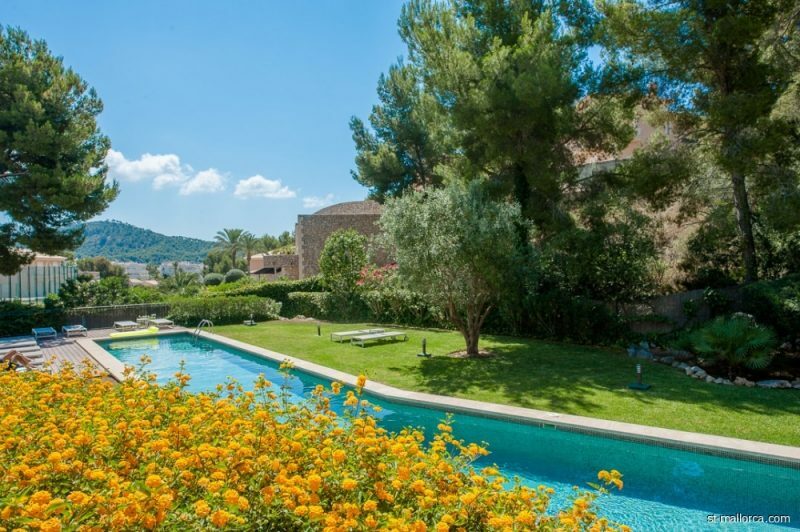 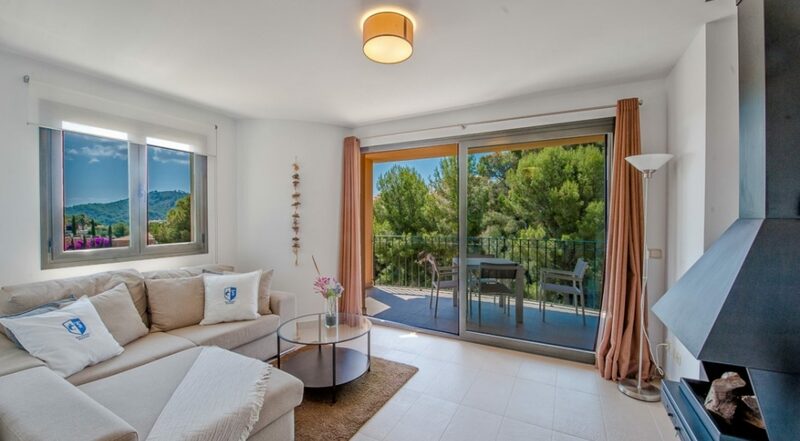 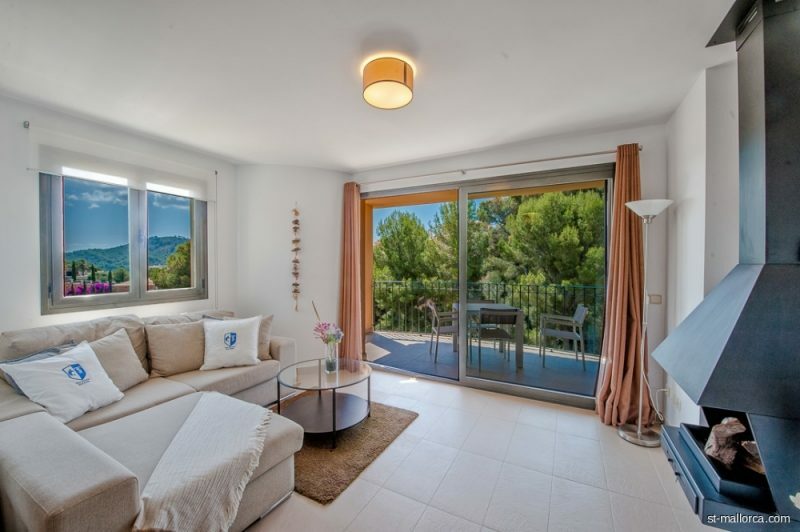 The Zinnia-complex is only 10 walking minutes from the sandy beach and the golf course “Golf de Andratx” in Camp de Mar. 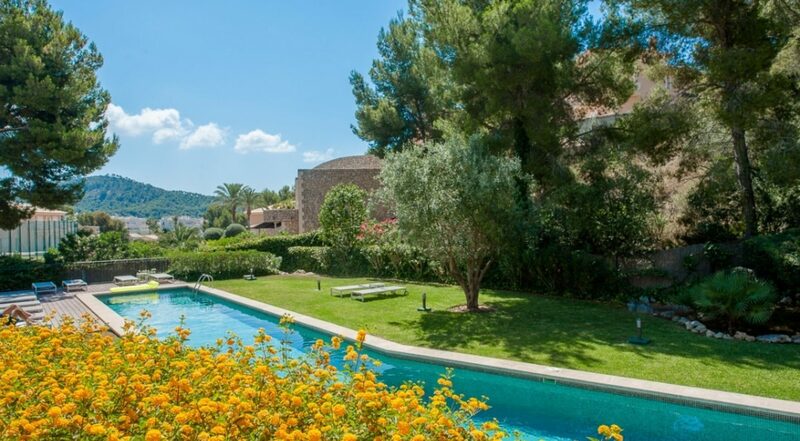 The sandy beach of Camp de Mar is 180 m long and 50 m wide. 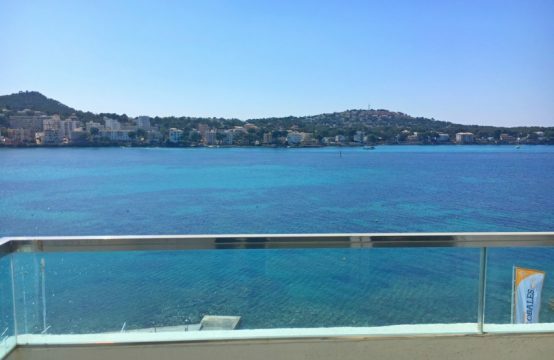 The main attraction is a small island, which is linked to land by means of a footbridge and which has a restaurant which covers almost its entire surface.